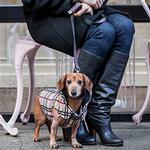 With the cold and blustery season, comes shivering and miserable pooches. 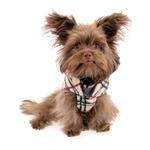 Warm up your four-legged friend with the Whistler Winter Dog Coat in Tan Tartan! 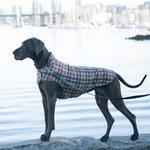 Whistler Winter Dog Coat - Tan Tartan Customer Photos - Send us your photo! Gabe is “layering” with his Whistler jacket over his Highland Fleece jacket.NEVER too cold to play ball! Zuzu is a 3year Old miniture Australian Labradoodle, 28 lbs. Purchased the size 20 coat and fits perfectly with some extra room for running and playing. Have purchased the RC Pets brand previously and find them to durable and very well made. They love there coat they got for Christmas!! This looks great on Jake. It does not cover his chest as shown in the stock photos and description...which is disappointing. I purchased this because I thought it would cover his chest that has very little fur. Posted On 02/18/19 by Clifton from Clifton, NJ Yes, Clifton recommends this product! This coat is perfect for Finn. It fits him just right and keeps him nice and warm and is easy to get on and off. Posted On 12/22/17 by Debrah L from Bourne, MA Yes, Debrah L recommends this product! The coat fits like a glove and Keltie seems very comfortable in it. It's the first one she didn't try to get out of !! Very happy with her Whistler jacket. Posted On 11/05/17 by Toni M from Phoenix , AZ Yes, Toni M recommends this product! Posted On 08/17/17 by Carol J from , Yes, Carol J recommends this product! Posted On 02/17/17 by MARY G from SEATTLE, WA Yes, MARY G recommends this product! Our dobie loves the warm double layer fleece. It is so cozy! Posted On 12/26/16 by Yasmeen A from , IL Yes, Yasmeen A recommends this product! Looks great, but a little large! Posted On 12/06/16 by Laura B from La Mesa, CA Yes, Laura B recommends this product! This jacket is very well made but too small to go around our dog's chest. We've re-ordered in the next larger size. Posted On 03/02/16 by Nancy H from Modesto, CA Yes, Nancy H recommends this product! I love this little jacket! It is so stylish and adorable! The fit is good and it's so easy to put on and take off once you figure it out lol! 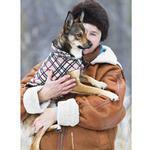 It is perfect for a walk on a chilly day for dogs like mine, with little fur. 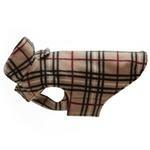 If you want your doggie to wear it over another shirt, make sure you go up a size, since it can be a little snug. Posted On 02/13/16 by Karen S from , Yes, Karen S recommends this product! This is a great little coat. I really like that it is two layers of fleece, so it will be warm in the colder weather. I would like to see the part across the dog's belly a little wider to give better protection in that area, but as I said...it's almost perfect. Posted On 01/25/16 by Melissa P from New York, NY Yes, Melissa P recommends this product! LOVE this coat. 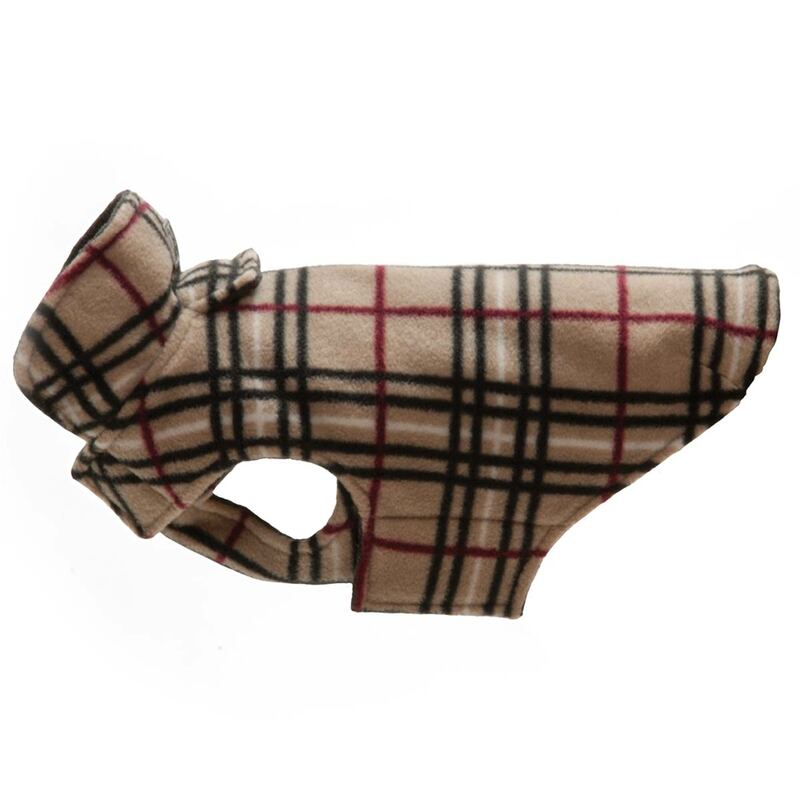 It has a classic "Burberry" flair to it and is incredibly easy to put on - velcro under neck and body (no more putting coats over my dog's head.) Most of all, it's warm and the sizing options fit my medium-large dog better than many other products. Posted On 01/13/16 by LAURIE L from GREENWICH, CT Yes, LAURIE L recommends this product! 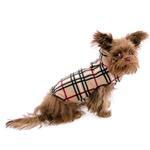 Louie wore his new coat yesterday and everyone was asking if it was a real Burberry! It fits him perfectly. Beautiful color and great fit. Warm and comfortable. My size 10 cream colored Chihuahua looks great in it and keeps her warm in 36 degree temperature. Collar is longer than the one on the little red raincoat I purchased three years ago and allows for growth and still fit snugly. Also, the velcro on the belly straps has been extended and has a stronger hold for when my girl pulls hard on the leash attempting to meet and greet bigger dogs across the street . The jacket stays on. Added a 1/4" X 4" black strip of elastic (folded over) at the inside nape of the neck to provide for a leash hook-up. Posted On 12/14/15 by Karen P from Wilmington , NC Yes, Karen P recommends this product! Made very well. My Basset's love them. Early Christmas gifts. Posted On 11/10/15 by Mabel G from Arlington, VA Yes, Mabel G recommends this product! I love this coat! I love the fabric and how the velcro adjusts on my dog. He has a big chest and is more narrow towards the back and it fits great and is well made. We have gotten a lot of complements while on our walks. Posted On 11/07/15 by JANE B from LONGMEADOW, MA Yes, JANE B recommends this product! Loved the coat but it didn't fit. I sent it back on Thursday. It should arrive by Wednesday of next week. The larger size was not available so I guess I'm out of luck. Posted On 09/29/15 by Tracy M from Martin, SD Yes, Tracy M recommends this product! I really like this jacket. The fit was great, the Velcro is tough, especially for my active dogs, I liked the width of the belly strap, the material is very soft, the jacket washed great and the color is bright. My dogs don't have a lot of hair, this jacket will help keep them warm this winter!